A well-structured performance management programme, paying people fairly for the work they do, and providing competitive benefits and incentives are key elements that enable Oil Search to attract, retain and motivate the right people to achieve our business objectives. We are committed to providing market-competitive remuneration and benefits that are above the minimum wage, and to rewarding sustained high performance in the form of consistent achievement against Individual Performance Goals. All our employees receive a market-competitive total fixed remuneration package. We benchmark remuneration annually against relevant local market salary surveys conducted by independent third parties. For information on Board members' and senior management's remuneration, see the remuneration report in our latest Annual Report. Our permanent employees participate in a STI scheme that rewards individual contributions to team, business unit and overall Company performance (assessed using an STI scorecard). The STI scorecard consists of a range of operational, financial and business growth measures directly linked to our objectives, including: safety, production, cost management and profit, resource discoveries and achievement of strategic initiatives. We determine individual allocations from the STI pool with reference to individual performance against job requirements and individual performance goals, as well as our leadership behaviours. Total Recordable Injury and Process Safety represent approximately 10% of the overall scorecard weighting. If one fatality occurs, the overall safety outcome is reduced by half, and if two fatalities occur, the overall safety outcome reduces to zero. Provided they’ve demonstrated an acceptable level of personal performance, each permanent employee can participate in our Long-Term Incentive plan. This gives the Board the flexibility to grant employees equity incentives such as performance rights, share rights, and restricted shares, providing them with an opportunity to share in the long-term growth of the Company. We offer a range of market-competitive employee benefits in addition to local statutory entitlements. For some benefits, Oil Search provides a minimum global standard, regardless of the local market or local statutory requirements. Examples include paid parental leave, continuing superannuation contributions for primary care-givers during periods of unpaid parental leave, and an annual leave purchase scheme which allows participants to purchase up to an additional two weeks of annual leave per year. We provide other benefits based on their relevance to the location, including local market practice. Generally, these benefits are available to all permanent employees, subject in some cases to a minimum service requirement. 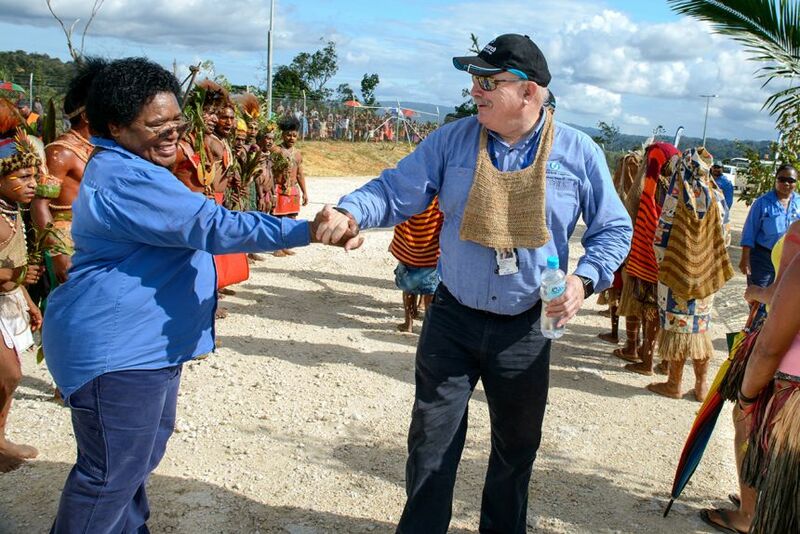 In PNG, such benefits include: the provision of health care; education and housing allowances; superannuation; life insurance; transport to and from work; and a first home ownership scheme. In Australia, such benefits include novated lease vehicles and salary continuance insurance. In Alaska, they include the provision of retirement benefits through a 401(k) plan and health and welfare benefits, including the provision of subsidised private medical cover and other insurances. For further information on Board members’ and senior management’s remuneration, see the remuneration report on our latest Annual Report.